Highlights of the Sky Bet Championship Play-off final between Aston Villa and Fulham. Fulham are back in the Premier League after Tom Cairney's goal helped them see off Aston Villa 1-0 in the Sky Bet Championship play-off final at Wembley. Cairney struck midway through the first half in a fierce-tempered occasion on Saturday, with the Cottagers having to see through the final 20 minutes with 10 men following Denis Odoi's dismissal. Slavisa Jokanovic's side, who lost in the semi-finals last year, return to the top flight for the first time in four years, landing an estimated £170m windfall in the process, while Steve Bruce will have to wait for a record fifth promotion to the Premier League. 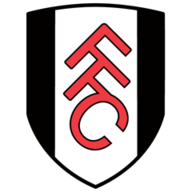 Fulham were unchanged from the second leg of their semi-final victory over Derby, while Aston Villa made just one change as Ahmed Elmohamady came back in at right-back for James Bree. 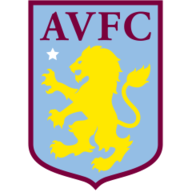 The pattern of the game was set from the off as Fulham dominated possession and Aston Villa sat deep to absorb pressure, but with just 23 minutes on the clock, the side in white managed to find their way through. Ryan Sessegnon came in from the left flank and caused problems, slipping a fine ball between Alan Hutton and John Terry to find the run in behind of Cairney, who showed superb composure as he rolled the ball past Sam Johnstone. Fulham had the lead but were maybe a little lucky not to be down to 10 men six minutes later. As Ryan Fredericks and Jack Grealish tussled for the ball, the Villa man went to ground and the Fulham defender appeared to stamp on his opponent. Nothing, however, was given by the referee. Grealish came out of the incident unscathed and could easily have given Villa the equaliser with their biggest opening of the game shortly after the break. Albert Adomah cut inside and curled an inviting ball right into the heart of the Fulham area for his team-mate, but Grealish could not get a clean head on the ball under pressure from Marcus Bettinelli and his effort curled over the bar. A red card seemed inevitable with so many rough challenges and it came with 20 minutes to go. A rash high boot from Odoi, who scored the winner in the semi-final against Derby, caught Grealish - who could have been sent off earlier for a wild lunge on Cairney - leaving the referee no choice but to show him a second yellow card. For Villa, 36 years to the day since their European Cup triumph, there would be no promotion to celebrate. They will play in the Championship next season for the third-consecutive campaign. Fulham have won promotion via the play-offs for the first time, in their fourth play-off campaign. Fulham have won a match at Wembley for the first time, losing on their only other visit there in the 1975 FA Cup final (0-2 v West Ham). Since 1988-89, the side finishing third in the second tier has gained promotion via the play-offs more times than any other position (11/30 - 37%). Fulham will play in the Premier League for the first time since their relegation in 2014 under Felix Magath. This was the sixth successive season in which at least one side failed to score in a Championship play-off final. Aston Villa have now lost five of their last six games at Wembley (W1), conceding 12 goals in the process. It's an obvious thing to say but goals do win games and Cairney showed unbelievable composure with the way he took his in the first half. It was a match filled with incidents but in the end, the Scotsman's finish was the difference between promotion and devastation. Steve Bruce was frustrated with the level of officiating during their play-off final against Fulham and believed Ryan Fredericks should have been sent off for a stamp on Jack Grealish. Steve Bruce: "We didn't do enough in the first half. We were too deep and too respectful and didn't do enough with or without the ball to create any real pressure on Fulham. Whether it was the occasion or the heat, who knows? But we just didn't do enough. "But there were big decisions that went against us too. [Fredericks] for me should have had a red card early on, it was right in front of the referee and the fourth official. No one wants to see a spectacle ruined but when it's deliberate as that he deserves one." What now for Fulham, Grealish, Terry? Slavisa Jokanovic believed Fulham's promotion to the Premier League was a culmination of a great season long campaign. Slavisa Jokanovic: "We showed with our style that we can be one of the best Championship teams. Then we were solid, organised and fighting altogether for the clean sheet in that last 20 minutes. The team stuck together and showed great fight. "It's a really important victory for us and I think we deserve it after the last couple of years. It's not easy playing at Wembley with some many young players and under such pressure, especially when Villa had so much experience. But we showed the quality and desire to be successful."